It is with great sadness that the family of CarolRae (Hill) Tullio age 83, announce her passing on Tuesday, November 20th, 2018. CarolRae passed peacefully in her sleep surrounded by her seven children, Teresa, Matthew, Laura, Rachael, Chris, Gregory and Andrea Tullio as well as several grandchildren and extended family at her side. She was predeceased by her husband of 63 years, Martin Joseph Tullio. CarolRae will be fondly remembered by her seven children; ten grandchildren; five great-grandchildren; her sister Joyce Feller; her brother Richard Hill; and many dear family members, friends, and neighbors. 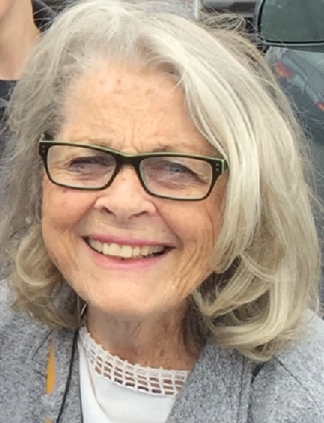 As a long-time resident of the Seattle, Washington area, CarolRae enjoyed oil painting, classical music, playing the piano, singing in the church choir and of course many many family outings and camping trips. She will forever be remembered for her inimitable way of making people laugh as well as her very generous spirit. CarolRae touched many lives in her years here on earth and we know for certain she will continue doing so in the next life. Her ashes will be interred alongside her husband at Tahoma National Cemetery in Kent, WA with a private memorial service to be held at a later date. Memorial donations may be made to The Wounded Warriors Project www.woundedwarriorproject.org.